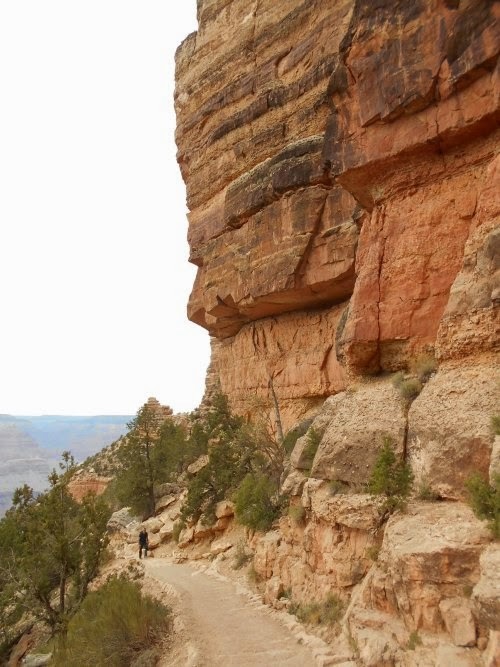 Another Long Walk: Day 47: The Grand Canyon! the head of the second elk near the lower-right corner of the photo? 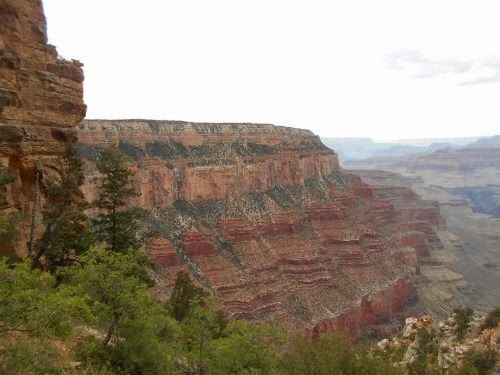 May 29: I slept in late today--there was no reason to get up at my usual time because the shuttle bus back to the Grand Canyon didn't start until 8:00 in the morning. I still woke up at 6:00, however--I couldn't help myself. 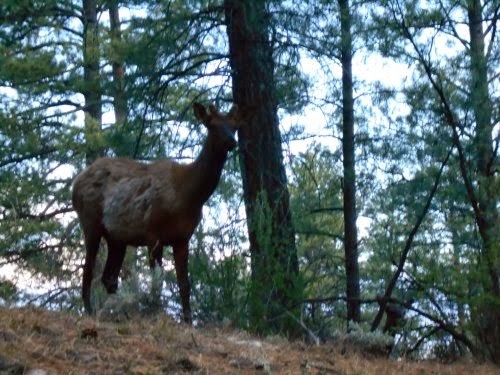 I was greeted by a few elk, munching on the foliage around my campsite. I killed time by reading reading "E" Is For Evidence. About 15 minutes before 8:00, I walked into town and waited by the bus stop. When the bus did arrive, I walked on like I owned the place, flashing the stamp on the back of my hand, but I guess I wasn't obvious enough because the bus driver got all upset that I hadn't shown him proof that I already "paid" to get into the park. "I thought that's what the stamp on the back of my hand was for?" I said, worried he wouldn't let me on the bus. "Oh, yes--but you didn't show it to me!" Which really annoyed me off because I did show it to him--he just didn't see it. I suspect that most people who enter the park don't get in from a stamp on the back of their hand. Everyone else who got on the bus had a card or receipts or something as proof of payment and I was the only person with a stamped hand because, well--I hadn't paid. I had no receipt. Consequently, I think the driver expected me to have something in my hand and was looking for that rather than admiring the back of my empty hand. He didn't see the stamp because he wasn't looking for it. 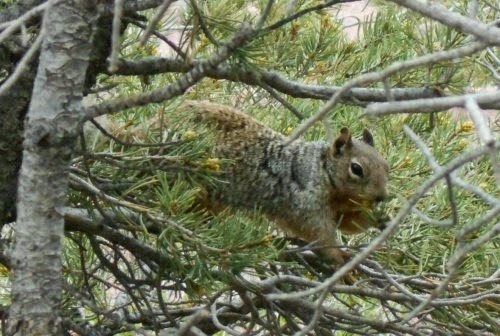 ...even if I did mail myself most of the food I would carry the rest of the trail. The shuttle bus dropped me off, and I transferred to another shuttle bus eventually arriving at Market Plaza where I had a few tasks to complete. When I arrived, the post office hadn't opened yet, so I wandered around the grocery store and picked up a few items for the rest of my hike. Mostly perishable items like cheeses which I couldn't mail ahead and snack foods which are readily available at most convenience stores (so I figured I could resupply easily). The bulk of my food was in a mail drop behind the locked doors of the post office. By the time I finished my shopping, the post office had opened and I picked up my mail drop. I could have picked it up the day before but I saw no sense in doing so. I only had to hike a measly 7 miles into camp today--and it was all downhill. I could have knocked it out in 2 hours without even trying hard, then what would I do for the rest of the day? 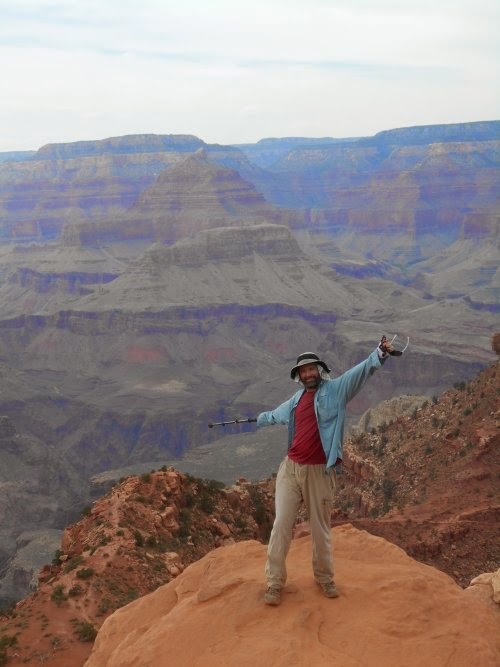 I had gotten into the Grand Canyon a whole day earlier than I had expected so I still had enough food in my pack to wait a day--and no sense in filling my pack full of heavy food while walking around Tusayan when I didn't have to! Thus, I waited until today to get my food. 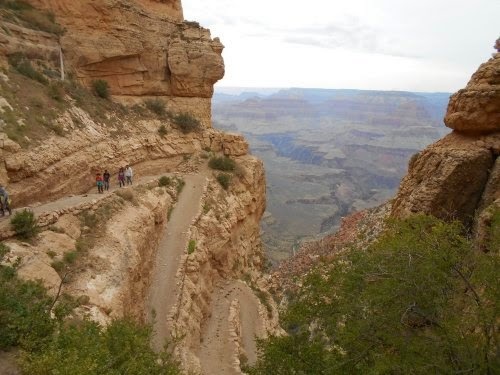 Look at the Bright Angel Trail zig-zagging into the canyon! By the time I was ready to go, it wasn't even 10:00 AM. I was quite reluctant to start hiking towards camp. 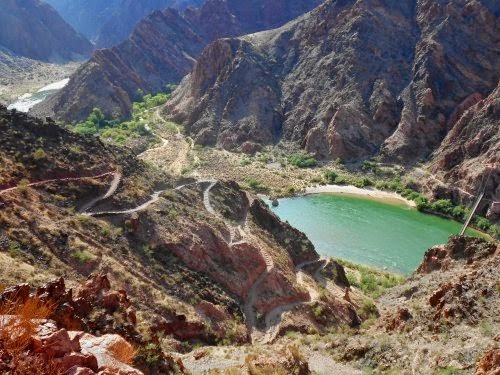 The weather forecast called for about 80 degrees at the rim, but close to 100 degrees at the bottom of the canyon over 5,000 feet down. I had no great sense of urgency getting down to the bottom. In fact, I wanted to delay my arrival there until late in the afternoon! 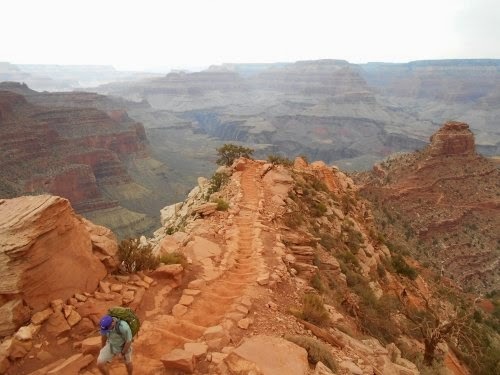 So instead of taking the shuttle bus back to the South Kaibab trailhead, I figured I'd walk. 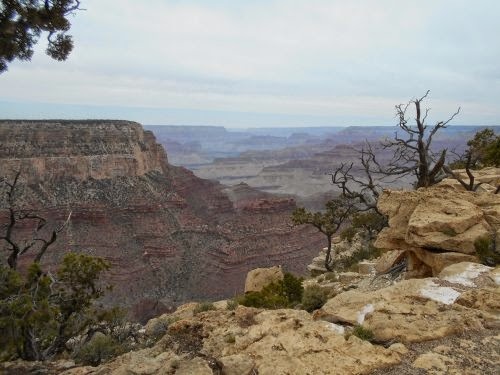 From Market Plaza, the Rim Trail was about a half mile away on foot. 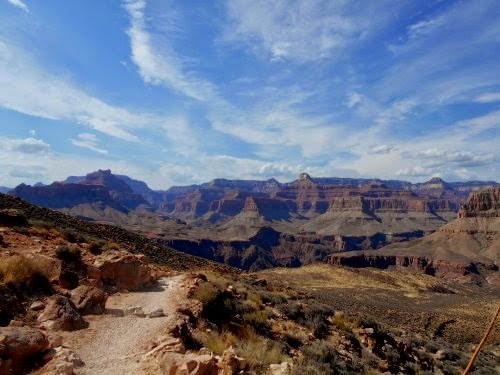 The Rim Trail followed the rim of the Grand Canyon all the way to the South Kaibab trail--a good four or five mile walk along the rim of the Grand Canyon almost the entire way. I could do that. No problem! 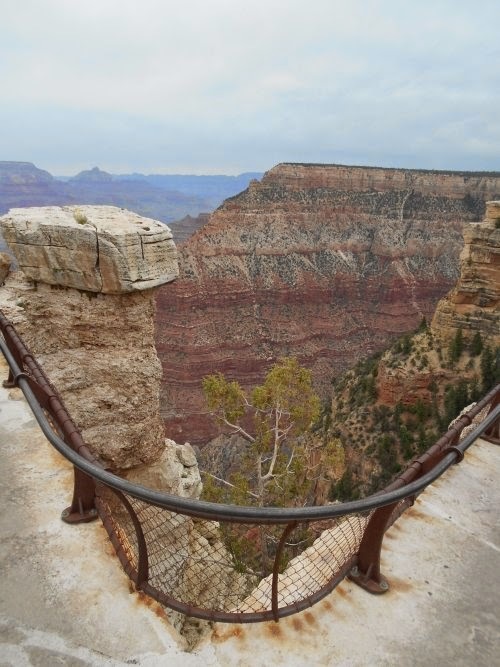 The crowds of people on the Rim Trail were staggering, but they tended to bunch up at scenic viewpoints and near the largest parking lots and bus stops. 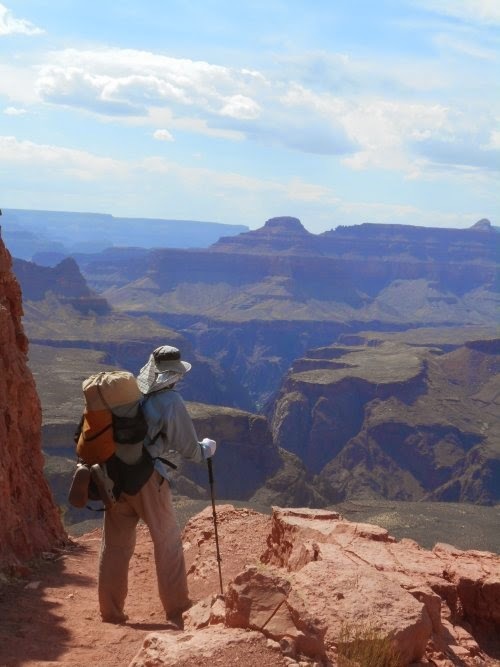 People wanted to see the Grand Canyon, but it never ceases to amaze me how many of them never go beyond the trailhead. 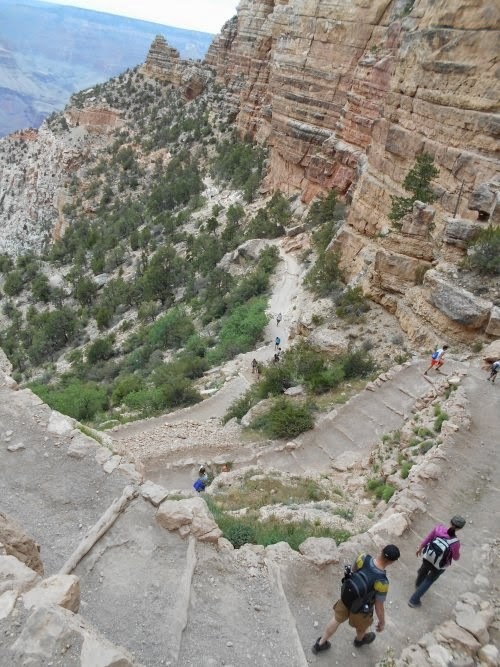 I was also more than a little surprised at how many people were climbing over some rather sketchy areas along the rim well off the established trails. 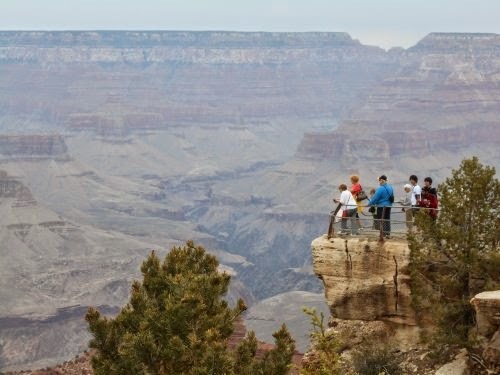 How do so few tourists die from falling into the canyon? 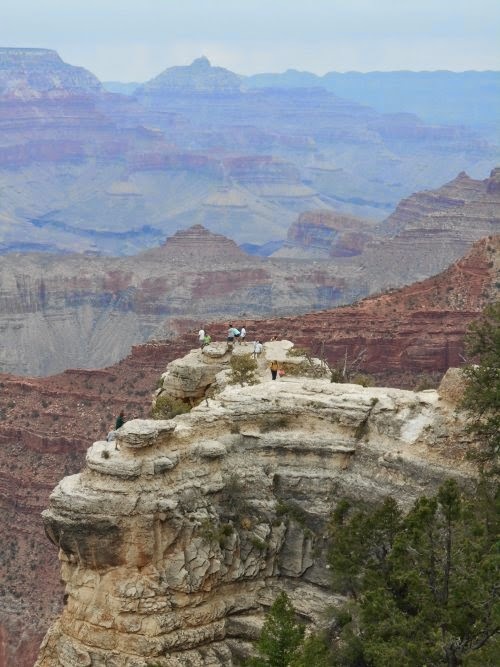 I stopped for close to an hour at the Yavapai Point and Geology Museum along the rim. It had absolutely fantastic views, but I also noticed an electrical outlet next to a bench and I plugged in my iPod. I hadn't used it much, but there wouldn't be anymore outlets between here and the end of the trail. I may as well get it fully charged while I had the chance. I'd have plugged in my cell phone too, but I sent the charger for that ahead to the end of the trail. By now, I was wishing I had mailed it ahead to me at the Grand Canyon instead. Too late for that, though! 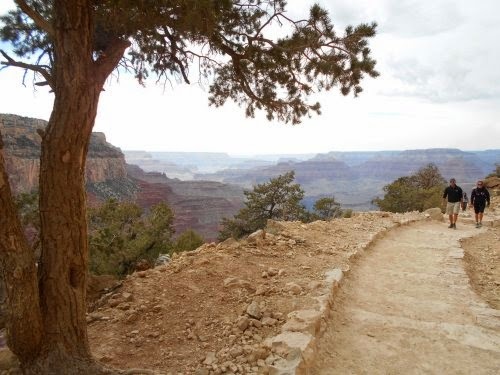 By around 2:00 in the afternoon, I had finally reached the South Kaibab Trailhead. 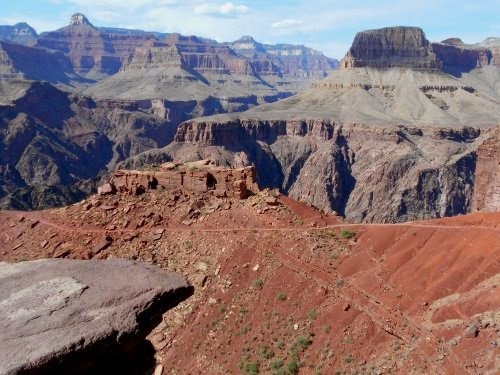 It was time to start descending about one vertical mile into this gash in the earth, clawed out by the Colorado River. I filled up with water--it would be the last place to get water until I reached the Bright Angel Campground and took a short snack break. Then I hefted my pack and started down the trail. It was exhilarating! It was here! It was time to enter the belly of the beast! I'd also joke, "God, this place is horrible, isn't it? Remind me why I came here?!" And "Stupid holes in the ground." 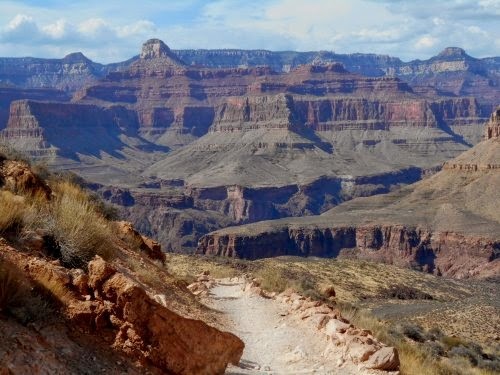 "The folks who made the Arizona Trail could have chosen to route the trail around this giant hole in the ground, but NOOOO! They have to go right through the heart of it! Down thousands of feet, then up thousands of feet. The jerks!" I danced and jigged at viewpoints. I hummed songs to myself like Walking on Sunshine. Wow! I stopped often--not even just to admire viewpoints, but to also talk to other people hiking the trail. 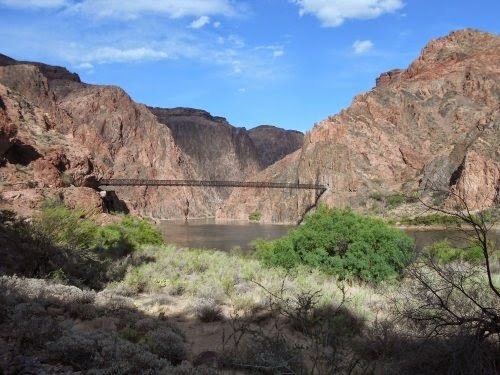 There were a lot of people out here and at times, a thru-hike on the Arizona Trail feels like a self-imposed exile, and I had finally been released from it. I'd talk to anyone and everyone I'd meet on the trail. I met folks from all over the world--from Germany, from England, from Japan, from the Netherlands, and more. As I got deeper into the canyon, the number of people started to thin out. Hiking all of the way down and all the way back up in a day is strenuous and not recommended for most people and very few people even try. But even those that did needed an early start and since I didn't start until 2:00 in the afternoon, none of the people I started the hike with would have had time to go all the way down and back up even if they wanted to. By about the halfway mark, I was once again pretty much alone on the trail. But wow! I was still in awe of the views surrounding me. I continued taking many breaks to admire the views and delay my arrival into camp. As I descended, I could feel temperatures warming and I knew the bottom was supposed to get near 100 degrees. I definitely had no reason to rush to the bottom! Near the bottom, I caught up with a group of three hikers--one of which was an older woman who was walking very slow and I got the impression she was the mother of the other two. I was a little worried about her--the two guys were on each side of her helping her down the trail. I stopped to chat like I'd been doing with everyone I passed on the trail, but in this case, I wanted to make myself available to help if they needed it, but they seemed to be doing okay--just going extremely slowly. I told them that I was hiking the Arizona Trail, which they hadn't even heard of. No surprise there--most people haven't--even those who were hiking on it. 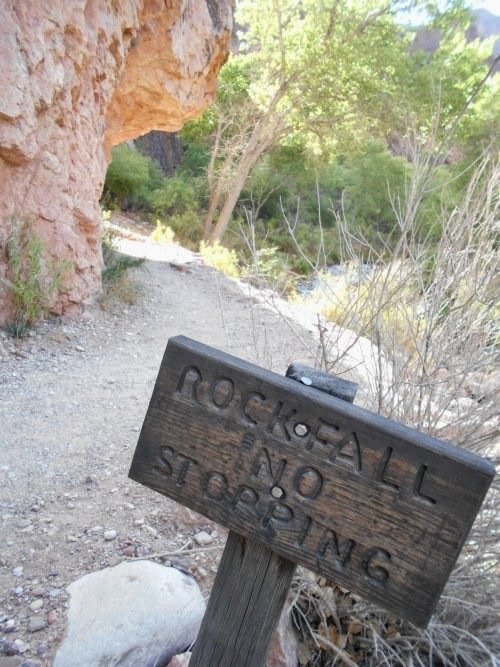 Once I reached the South Kaibab Trailhead, the trail wasn't even labeled with signs for the Arizona Trail anymore. 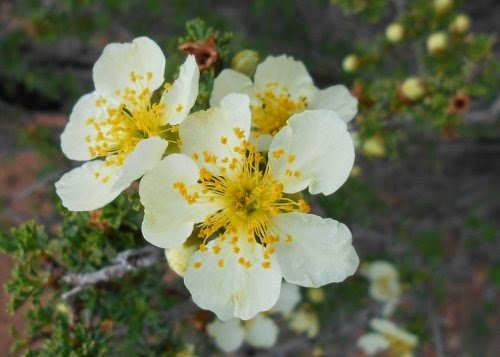 There was no way for anyone hiking the trail to know they were on the Arizona Trail unless they knew it before they arrived. We parted ways and one of the guys wished me a "Buen Camino!" And about ten seconds later, I thought, Buen Camino?! He told me Buen Camino?! 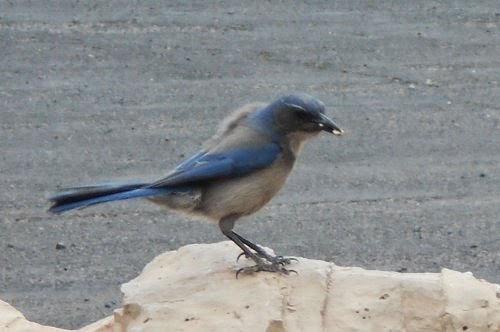 Having walked a thousand miles of the Camino de Santiago a couple of years earlier, I hadn't thought twice about his farewell or the knee-jerk reaction I had to return it, so there was a good, long delay before my head registered how unusual of a greeting that was out here in Arizona. I bet he had walked Camino himself! Only another Camino walker would have thought to wish someone a buen camino--on or off the Camino. I wondered if he picked up on my knee-jerk reaction when I returned the farewell. If he did, he's probably suspecting that I too have walked the Camino. I thought about turning around again to ask him about it, but I decided against it. They had their hands full helping their mother. I didn't really need to distract him from that, but I was sure I had just chatted with a Camino walker. I arrived in camp at around 5:00--a bit earlier than I really wanted to get there, but at least I wouldn't be wasting away the entire day in the heat. 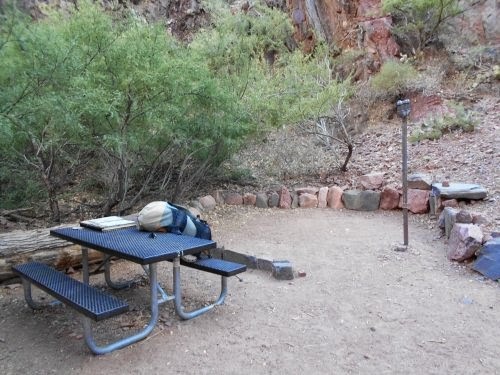 Most of the campsites were full, but 4 of them had yet to be occupied and I picked one that was away from the main trail through the campground, kind of tucked away in the trees. None of the sites were very private, but this was was probably more private than most. 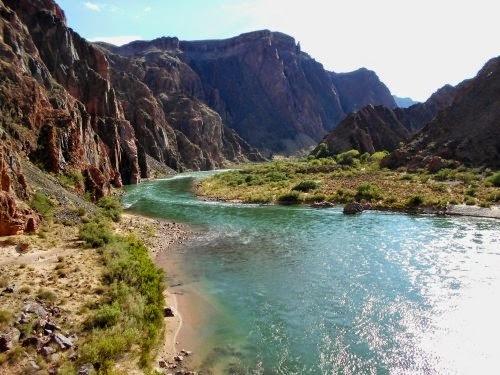 After claiming my campsite, I wandered back out to the Colorado River in hopes of watching the sun set, but it was largely obscured by the tall canyon walls. It was still scenic! But actually watching the sun itself set.... didn't really happen. While wandering around, however, I discovered a device that looked suspiciously like a payphone. 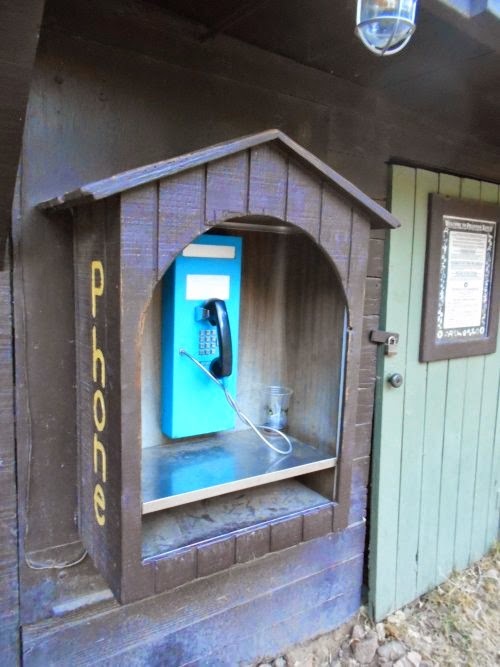 I thought surely not--a payphone? 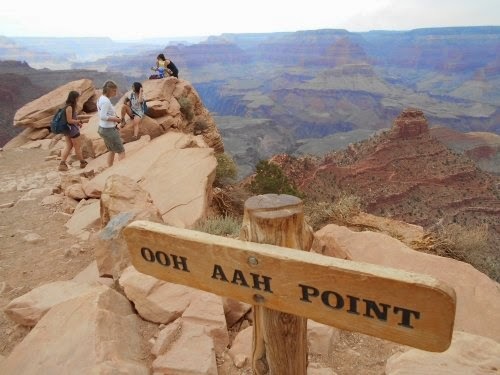 At the bottom of the Grand Canyon? I picked up the phone and put it to my ear. There was a dial tone! Son of a gun! I pulled out the calling card I had in my wallet and used it to call my mom. 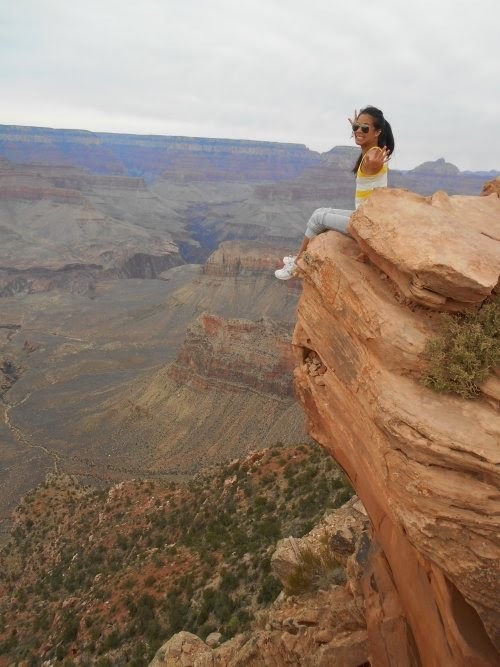 When she answered the phone, I told her, "I'm at the bottom of the Grand Canyon! RIGHT NOW! There's a pay phone here!" 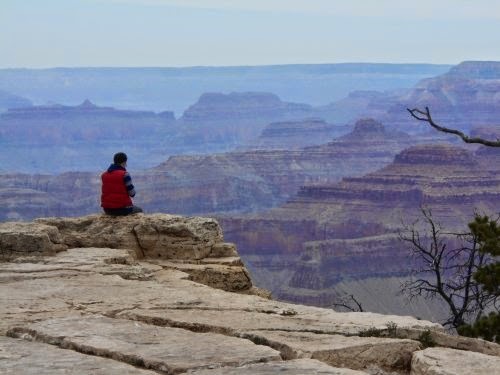 I didn't really have anything else to tell her--I just liked the idea of being able to make a phone call from the very bottom of the Grand Canyon. It seemed like such a ridiculous luxury. And there was a certain irony in it as well. I bet most people who hiked down had a cell phone on them, but their cell phones were probably useless down here and unable to pick up a signal. And they were probably so dependent on their cell phones, they didn't carry a calling card like I did so they wouldn't be able to use the phones. (It didn't take coins--just calling cards.) I suppose they could call collect, but what kind of jerk makes collect calls to people? 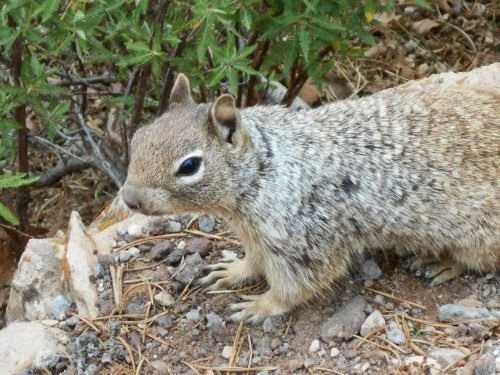 large number of good photos of elk, squirrels and such. 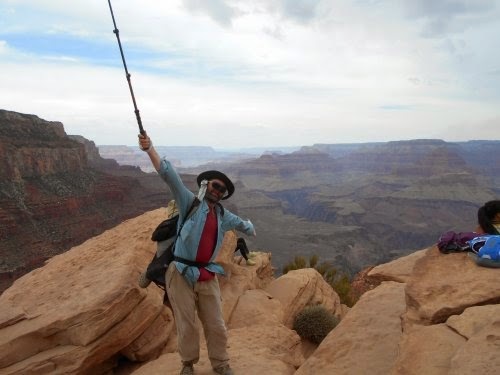 When the novelty of using a payphone from the bottom of the Grand Canyon wore off, I hung up and continued my explorations of the area. The ranger giving the talk was Emily, and she told lots of stories about the history of Phantom Ranch. Phantom Ranch was maybe a quarter of a mile away from the campground and the amphitheater was actually closer to Phantom Ranch than the campground. I won't retell the stories here--you can find most of them online anyhow. 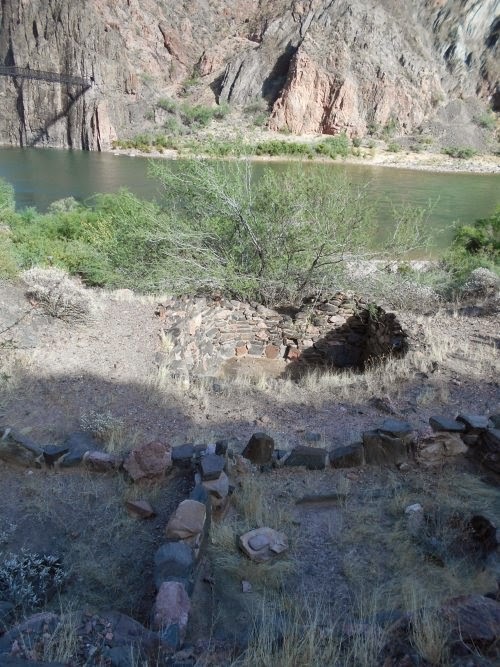 They're historical stories about the people who first explored this area, built the trails to it, the visit by President Theodore Roosevelt (which made some people want to rename what is now Phantom Ranch the "Roosevelt Chalet"). But the thing she said that absolutely electrified me was when she said after the ranger talk was over that she had blacklights and anyone was welcome to use them to look for scorpions. Awesome!!! 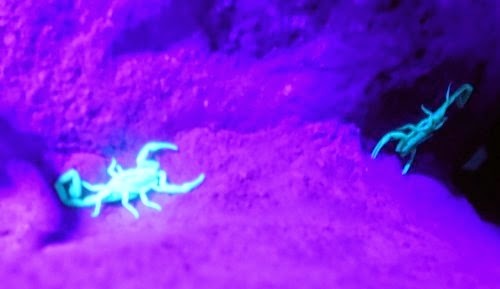 I've actually done some scorpion-hunting with blacklights back in my college days and they're neat. They glow like crazy in blacklights making them particularly easy to find in the dark. 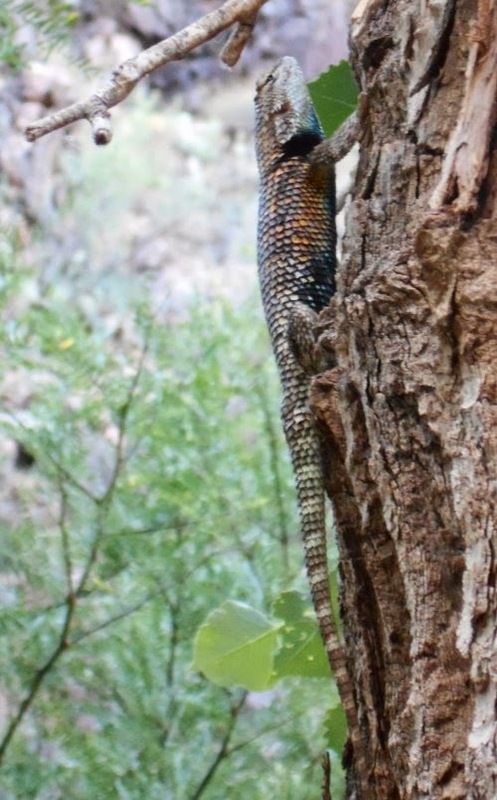 In daylight, they're nearly impossible to see because they blend in with their surroundings so well. I know darned well that I'd been hiking through scorpion country for most of this hike, but I had yet to see a single scorpion even though they're all over the place. But with a blacklight... oh, I was certain to find a scorpion! 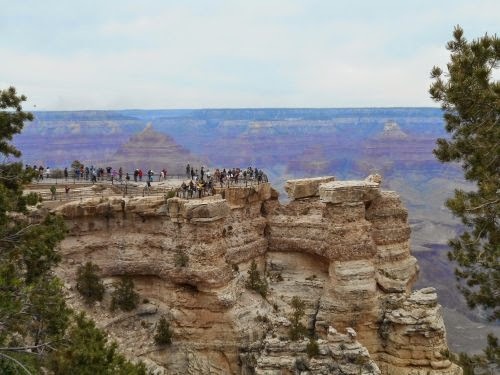 Which is when I learned this little interesting piece of information: Apparently, the bestselling book in the bookstores around the Grand Canyon is Death in Grand Canyon -- which contains accounts of all known fatal mishaps in the Grand Canyon. Fascinating.... I was kind of wishing I had a copy of the book right then, in fact. After finding the scorpions, the group of scorpion hunters started breaking up and heading back from whence they came. For me, that was back to camp. Although it was now dark, the temperatures were still very warm. I wore no jacket at all--just a light-weight short-sleeved shirt. It wasn't until about 2:00 in the morning it got cool enough that I had to pull my torso into my sleeping bag for the night. Just look at all those people! 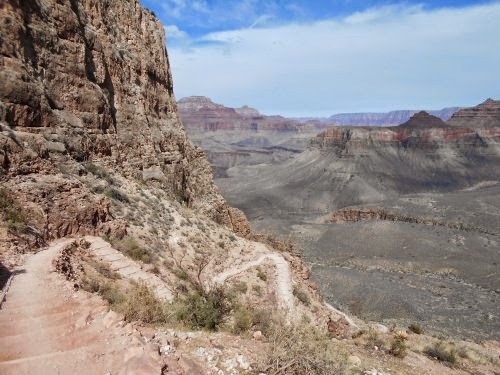 This is the South Kaibab Trail, which the Arizona Trail overlaps. It's now my turn to descend into the Grand Canyon! 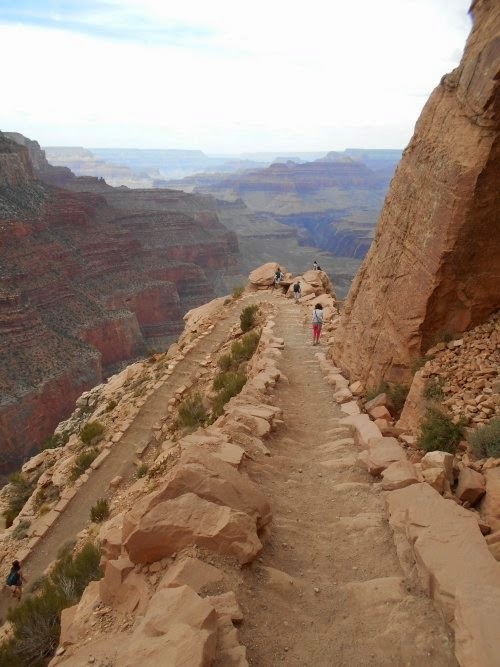 Just looking down this trail can give a person vertigo! It's really amazing to me that more tourists don't die than they do out here! This couple is from England and... I told them I wouldn't forget their names. I'd write it down in my journal when I got to the bottom of the canyon. I stop to admire the view... again! And again! And again! 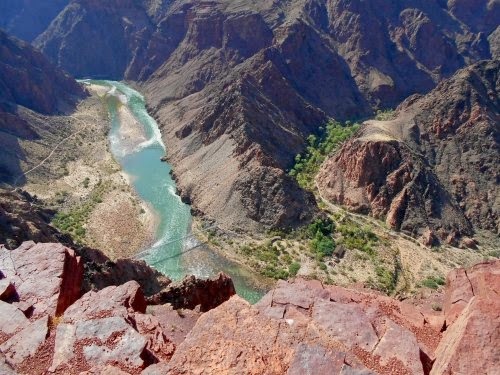 That's the Colorado River down there--and the bottom of the Grand Canyon. photo is where Bright Angel Campground is located--and my campsite for the night. which opens out onto the bridge. 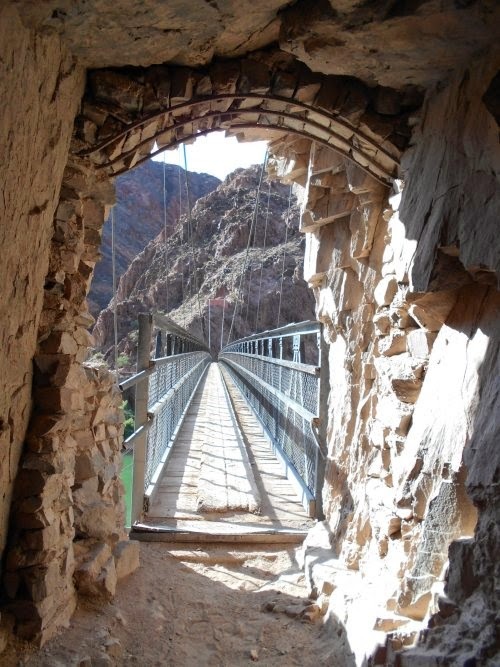 Really, the tunnel literally opens up onto the suspension bridge! carve such a huge canyon in a mere 6 million years. 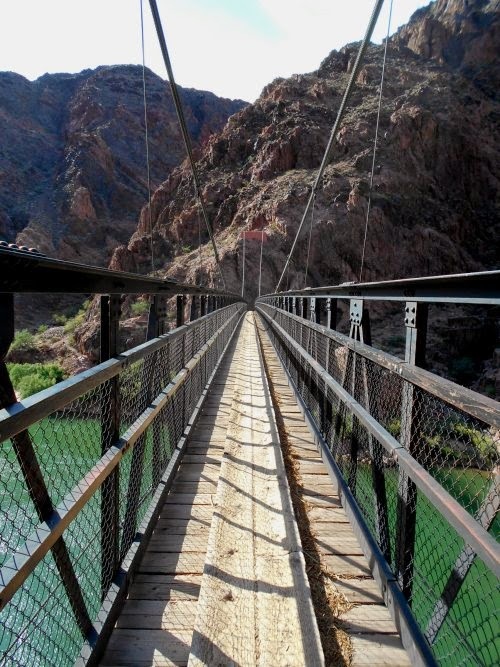 have a well-establish trail to follow or a bridge to cross over! Will the dangers never cease?! 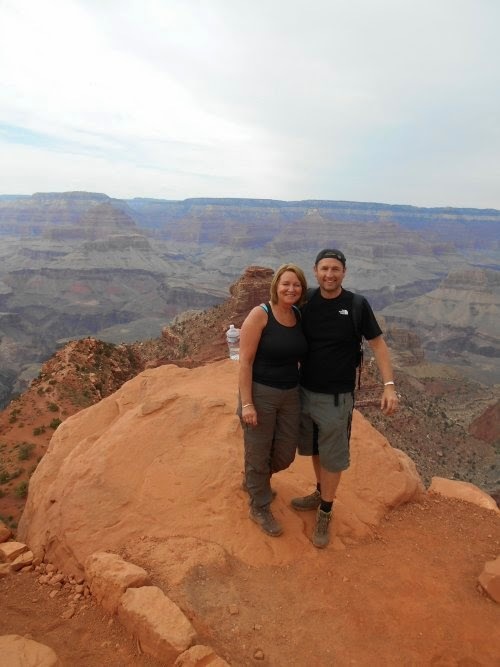 At the bottom of the GRAND CANYON!!!! he doesn't jump on me during the night! 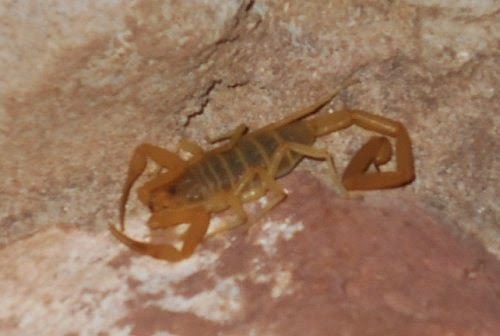 This is the same scorpion--under the harsh light of my camera's flash. A few elk give me a wake-up call in the morning. I didn't ask for a wake-up call! Very jealous of this hike. So look forward to the day I can do it. Thanks for sharing. Enjoyed the Black Bridge Video. Wow those views! Wow those scorpions! 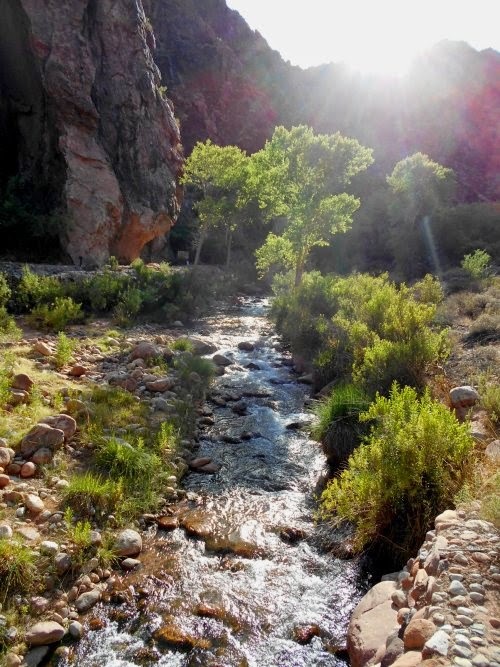 Did you get to read the book about deaths in Grand Canion after your hike? No, I never got around to reading the book about deaths in the Grand Canyon. But I don't need the book--I just read the news! Ryan, those were absoutely breathtaking photos and great videos. I love your comment, "that's what I'm doing today." 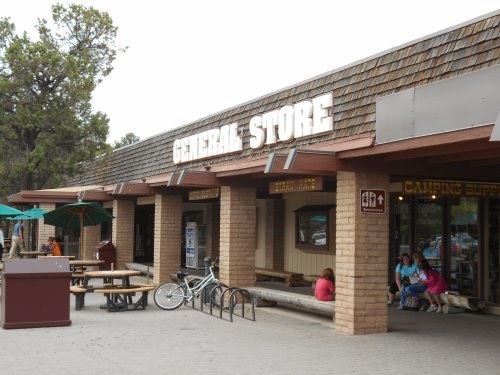 I've never been to the Grand Canyon. I remember my dad saying it was just a big hole in the ground. Seems a LITTLE more than that to me!! Love the videos and the scorpions by black light! The woman in yellow and white sitting on the edge made my feet cringe.